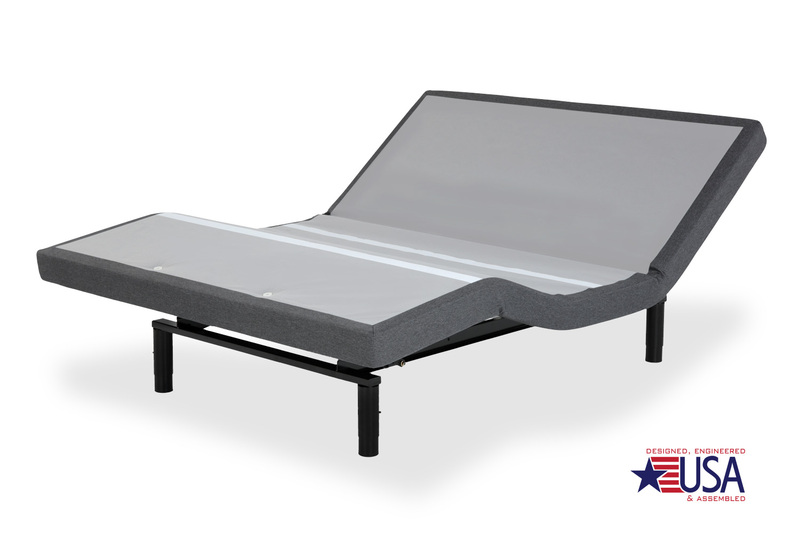 Billed by Leggett & Platt as the ‘ultimate bedroom relaxation haven,’ the S-Cape 2.0 and 2.0+ Adjustable Bed Bases will turn any bedroom into true luxury. Stress-relieving massage features lead the way, helping you wind down after a hard day, an easy day, or any day really– doesn’t matter when you have your very own personal masseuse ready for you at the snap of a finger. 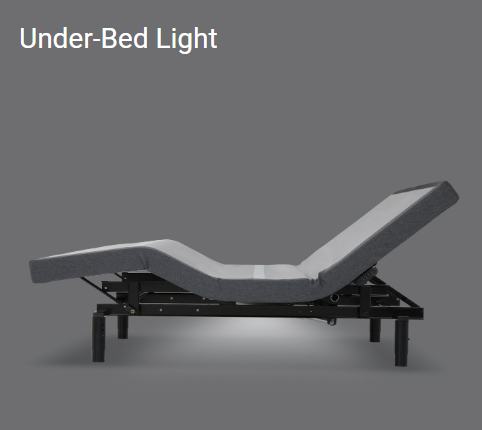 And when you turn on the S-Cape 2.0 or 2.0+’s majestic under-the-bed lighting, you’ll truly feel like your home has transformed into a tranquil retreat. How are the Leggett & Platt S-Cape 2.0 and S-Cape 2.0+ different? 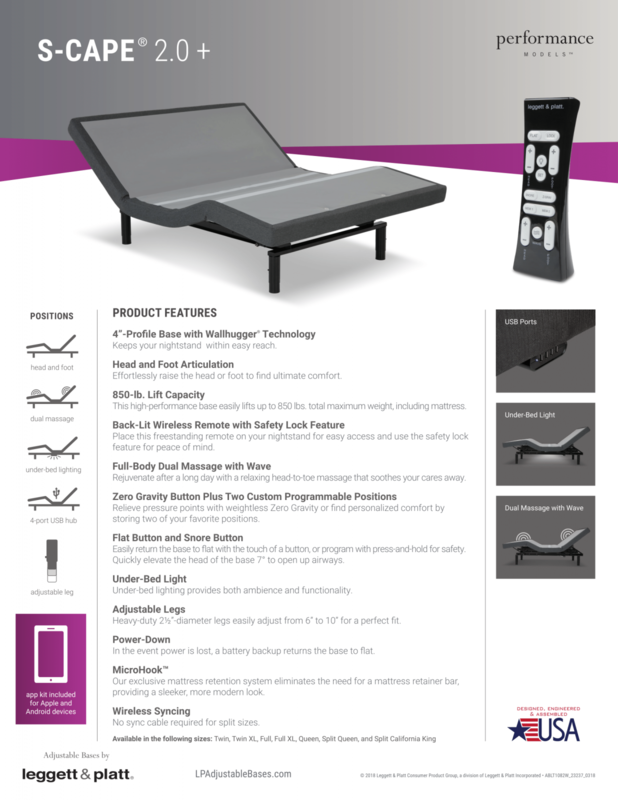 Both S-Cape adjustable foundations have the option for controlling the bed through Leggett & Platt’s smart phone app, but the S-Cape 2.0+ is the only base that comes standard with the feature. 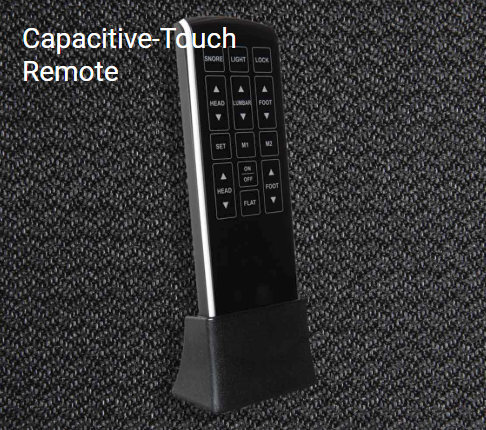 If you want this functionality in the S-Cape 2.0, then you’ll need to purchase it as an upgrade. 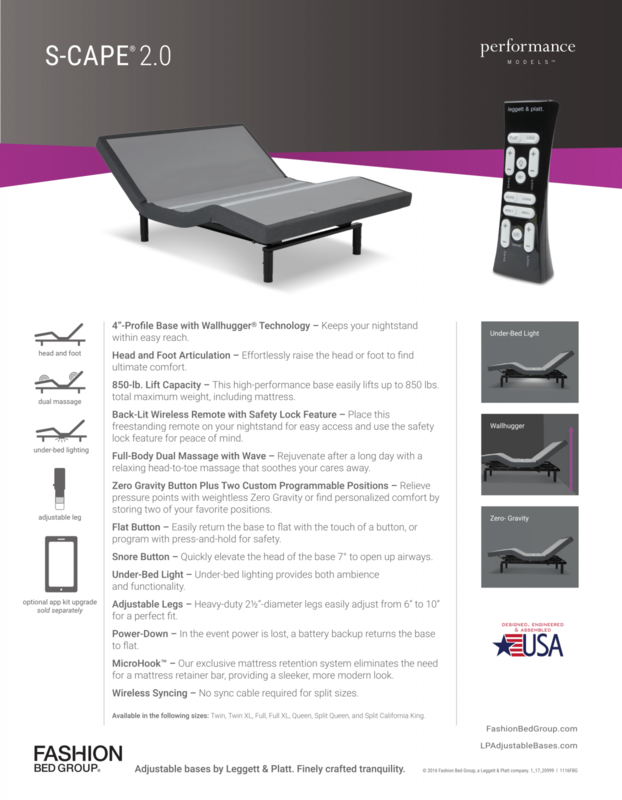 If technology in the bedroom is important to you, then this difference between the S-Cape 2.0 and S-Cape 2.0+ may be one to consider. 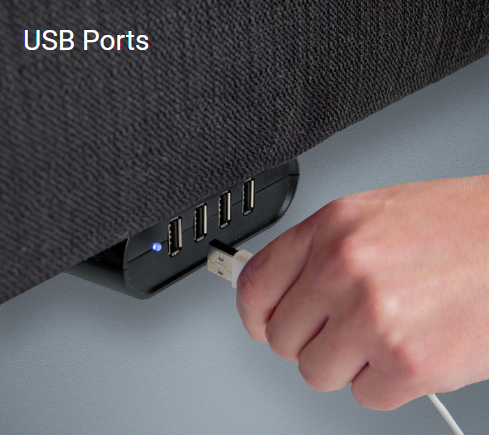 The S-Cape 2.0+ comes standard with four built-in USB ports, while the non-plus S-Cape 2.0 does not offer any USB ports connected to the base.